Spc. 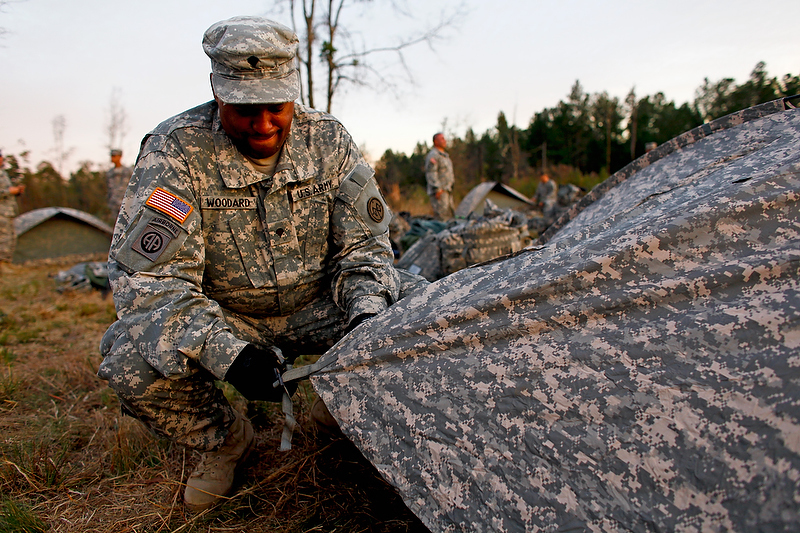 Woodard sets up his tent upon arrival to the training site. This would be his home for the next 12 days.